The volumetric dosers color mixer are suitable for auto-proportional mixing of new material, regrind, master batch and additives. A brushless DC motor is used in this series. The microprocessor accurately controls rotation of the high precise dosing screws to squeeze out materials with an accuracy of 1% form set point. A gear motor with deceleration ratio of 30:1 or 100:1 is coupled to a dosing screw of six models with output ranging from 0.1~32kg/hr. Double color doser can be supplied to match with two single color doser if required by clients. Everlasting data memorizer and settings storage. Microprocessor control, intelligent and accurate in calculation. External signals can be directly interfaced with the control box. Three-tubes hopper magnet is equipped at the base of the single color doser to absorb metal impurities so to prevent the screw of molding machine from damage. Single color doser takes base blender as an option to make blending more evenly. Blender built-in a standard accessory for double color doser and it can meet client's need for double blending. 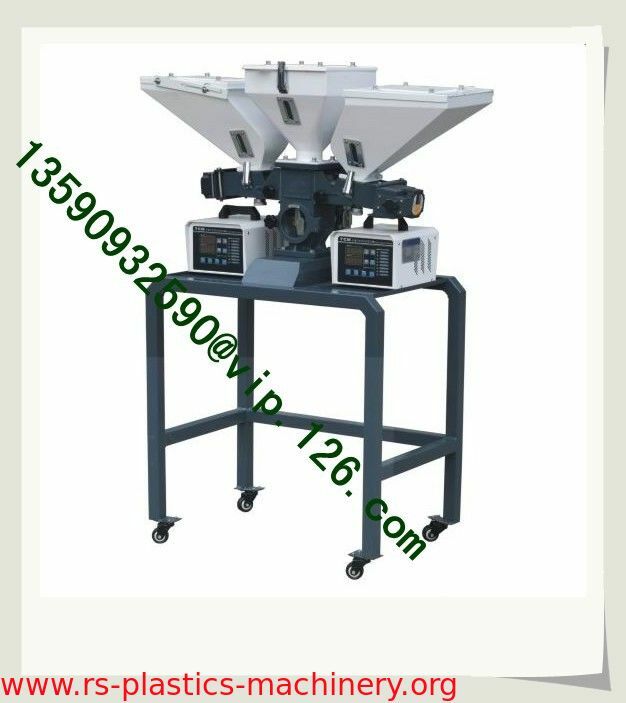 Main material hopper is a standard accessory for double color mixer. 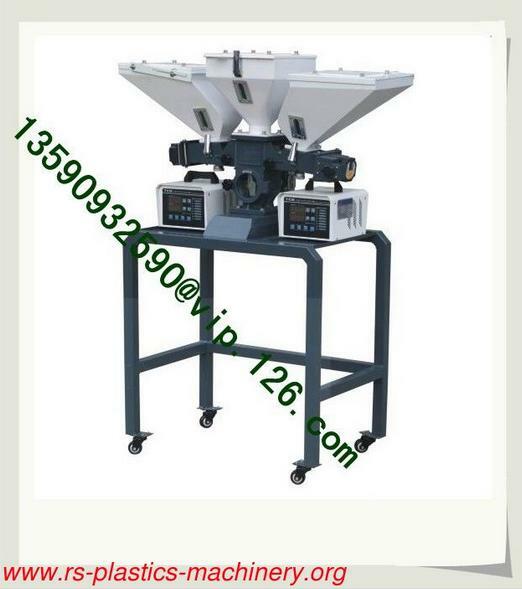 It is optional for single color mixer. Note:1) “ * ” means the output capacity depends on model selected, data of the single color mixer/doser can be a reference. For example: RS-TCM-D-38-16/38-14,output capacity l .7-52kg/hr. 2) “ ** ” stands for external dia. of screw is up to model selected. 3) Single-color volumetric mixer adds to mixer, add “MS” at the back of the model. 4) AII output capacity from above models are base on data from density 1.2,dia. 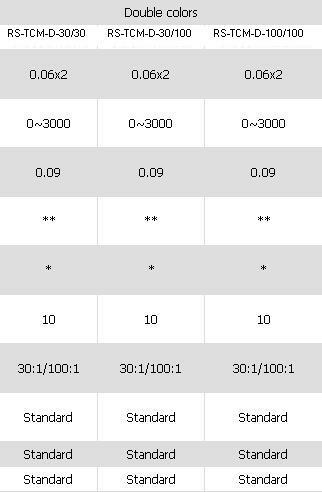 2-3 mm master batch in a test criteria of continuous running. For more details of the volumetric color mixers, please contact us for E-sheets!